… with the right tools. 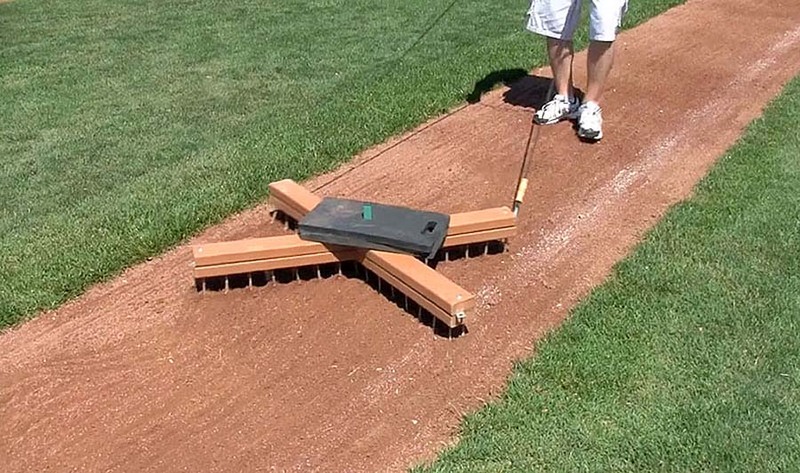 The area around home plate and your baselines are too small for motorized grooming equipment. 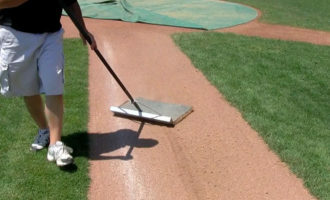 That means you’ll need to manually groom these areas. 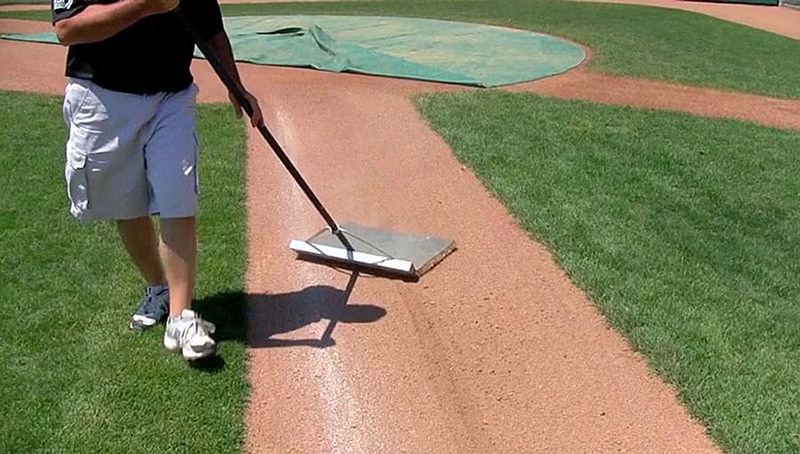 Many groundskeepers will groom these areas solely with hand rakes. 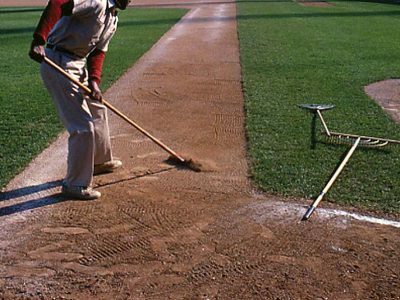 But the downside of this method is it can lead to undulating baselines due to the inconsistent down pressure you naturally apply to the rake. Resulting low spots can lead to poor drainage and puddling. 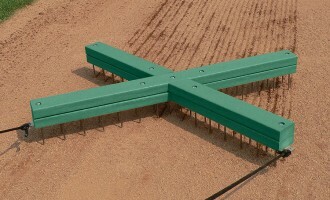 To scarify tight areas, a hand nail drag like the X-Drag will do the best job. 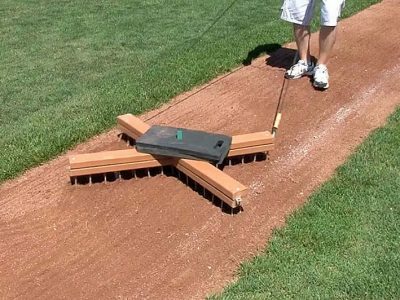 The goal is to loosen the soil around home plate and the baselines, as consistently as possible, no deeper than 1/2 inch. 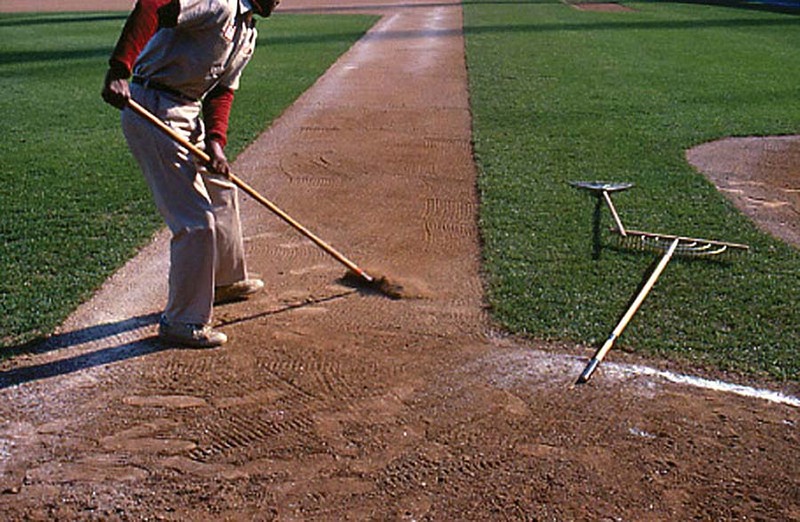 If ripples develop on the baseline you should come back over those areas, this time “shimmying” back and forth to crosscut. 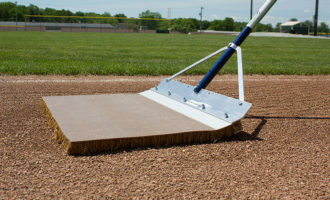 Around home plate there’s a little more room for a hand nail drag and you can crosscut in several directions as needed. 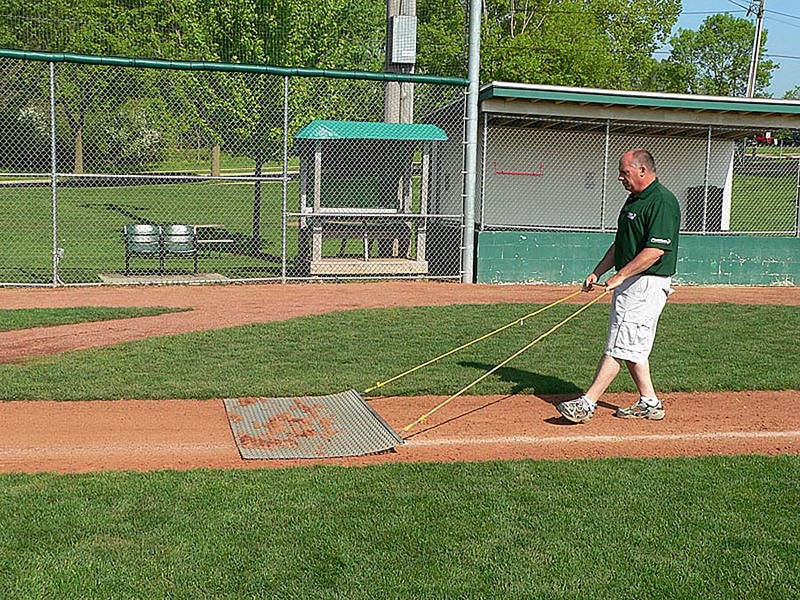 Just like scarifying, float dragging in confined areas is best done by hand. 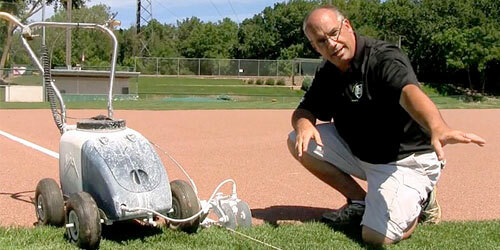 Remember, for a soil infield with no topdressing you’ll want to use a steel mesh. Any larger clumps of soil can be effectively broken up with the steel mesh, where a cocoa mat will just float over them. 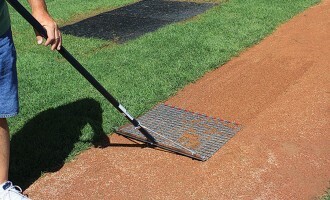 For soil with a layer of topdressing, you can use either a steel mesh or a cocoa mat or cocoa mop. Be mindful of getting too close to the grass edge. Staying out of the grass — especially turning corners — is critical in the prevention of lips. Remember how we started this module? 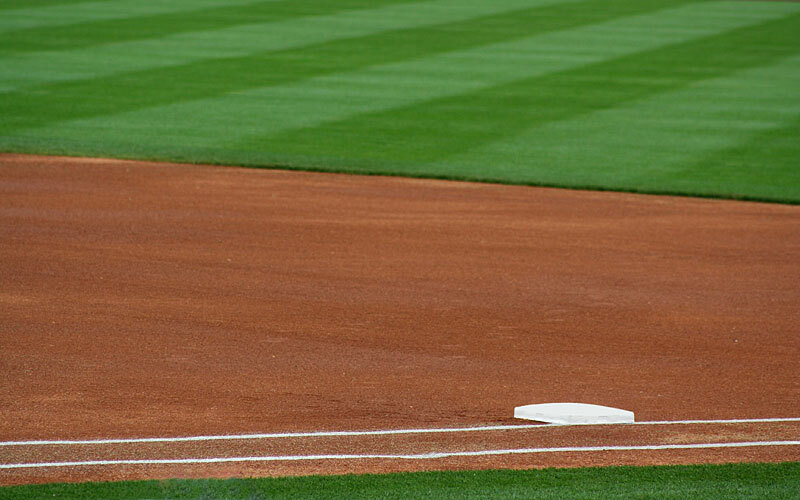 The reputation of a groundskeeper is really formed by how well maintained the infield skin is and how well it plays. 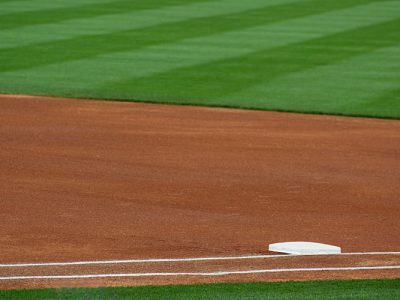 With what you have learned in Module 104: Infield Skin Game Day Prep you can now begin building your reputation as a groundskeeper who knows what matters. There was a lot of critical info in this module, you may want to log in try any pop quizzes that you skipped over to make sure you know the basics covered in these lessons before continuing with your next module.